Hear that staccato? 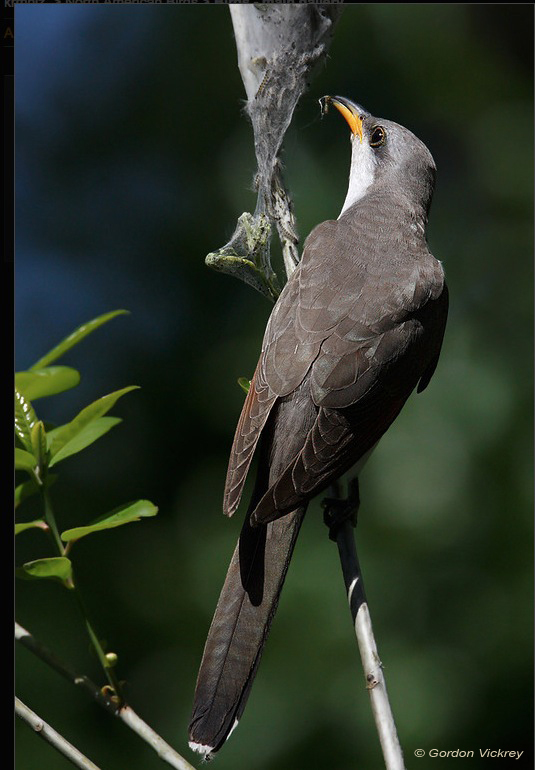 It's a Yellow-billed Cuckoo! One of two species of cuckoos in North America, the Yellow-billed Cuckoo, pictured here, lives in broadleaf forests throughout the East and riparian stands in the Southwest. They were common breeding birds in the Pacific Northwest as late as the 1920s, but then they disappeared. 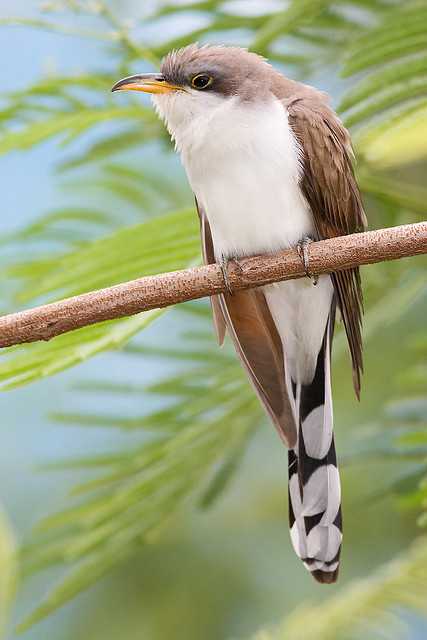 The Black-billed Cuckoo is a more northerly species that lives in dense woodland, even conifer forests. Cuckoos perch quietly and scan their surroundings for food. Hairy tent caterpillars, shunned by most birds, are often on their meal ticket.